(Natural News) Australian researchers warned that Melbourne’s waterways contain high levels of dozens of different pharmaceutical drugs. 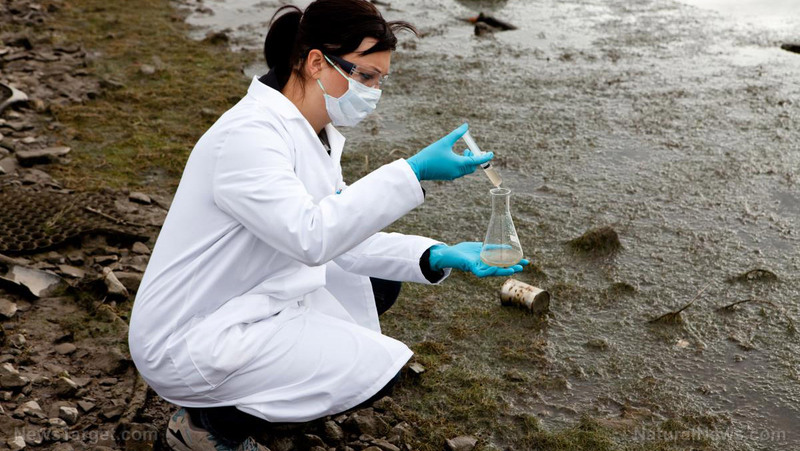 These chemical antibiotics, antidepressants, and painkillers have not just contaminated the water itself, but have also tainted the local aquatic animals. According to their survey of creeks in Victoria, animals in the most heavily contaminated creek could accidentally ingest up to 50 percent of the prescribed dose of antidepressants for use by an adult human. And the animals are getting this every single day. Monash University (MU) researcher Erinn Richmond expressed her concern regarding the lack of information on the effects of human pharmaceuticals on animals. The presence of 69 different drugs in the bloodstream and organs of any animal will not end well. These pharmaceutical drugs leave the body of patients through their bodily wastes. The chemicals join all of the other toxic stuff in sewage water, which will eventually end up dumped into the nearest body of moving water. In most developed countries and areas with the right infrastructure, sewage ends up in a wastewater treatment plant. The bacteria in the treatment tanks can break down some of the harmful contents of sewage, which includes several pharmaceutical drugs. However, many drugs are much more resilient against the biodegrading effect of bacteria. Synthetic estrogen is one of the most infamous examples. While the latest wastewater treatment technology can deal with these sturdier chemicals, the upgraded plants are also very expensive to build and run. Richmond and her fellow researchers wanted to identify the pharmaceutical drugs in the waters of Melbourne. From 2014 to 2015, they took water samples and specimens of aquatic invertebrates from local creeks. They also caught spiders that lived near water and preyed on newly-hatched adult insects. All samples underwent testing for 98 different pharmaceutical chemicals. In their report, the researchers found traces of pharmaceutical drugs in water, invertebrates, and spiders at all sites. They even came across traces of these chemicals in a creek in the middle of a nature preserve. They identified the most common drugs as memantine, codeine, fluconazole, clotrimazol, and mianserin. The contaminated insects are eaten by bigger animals, who are eaten themselves. The concentration levels of a chemical compound increase as it goes up the food chain. That means a pharmaceutical drug will be found in much greater amounts in a high-level animal. Richmond identified the Brushy Creek in suburban Melbourne as the surveyed site with the highest levels of chemical contamination. A brown trout in those waters would get 25 percent of a adult human’s dose of mianserin. Platypuses are not found in the aforementioned creek. However, the duck-billed monotreme is present in the Yarra River, which Brushy Creek empties into. The MU researchers theorize that a platypus in Brushy Creek could be exposed to 50 percent of the human dose of antidepressant. This is considered to be surprising by ecotoxicologists, given a platypus is much lighter than a human. And just because a sample set bucks the trend does not mean the water there is safer. The spiders at Brushy Creek showed lower levels of pharmaceutical drugs. This was attributed to the extremely polluted water killing off most aquatic insects, which forced the arachnids to catch non-aquatic – and less contaminated – prey. See PsychDrugWatch.com for more reporting on the dangers of psychiatric drugs.